Cambridge, UK: Following a comprehensive review of a range of potential solutions for craft editing, the BBC has renewed its commitment to SADiE by placing an order for 50 licenses for the recently released SADiE 6 editing software. 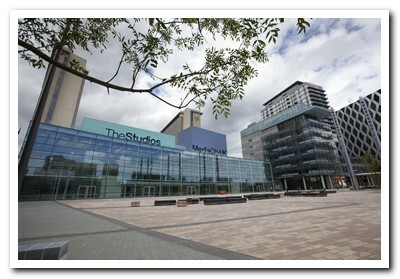 These will be installed at BBC North and will be in use by August, 2011. The broadcaster is streamlining the range of tools that it will support internally for its radio programme makers and has selected SADiE as the standard "Craft Editor" for audio to complement its radio production and playout automation systems. SADiE is already well established at the Corporation, which has many hundreds of SADiE installations. Key to this success is the unique approach that SADiE has to audio editing and productivity, tailored to high-end radio production workflow. The new SADiE 6 software will primarily be used as a software-only application on the broadcaster's desktop, but it can also be installed on existing SADiE 5 hardware as an upgrade. The Craft Editor specification demanded a number of feature enhancements for the new SADIE 6 software, including the integration of a comprehensive signal processing plug-in package. This has been met with the iZotope plug-in pack for SADiE 6. In addition, in response to a request from the customer, Prism Sound has developed a USB interface for SADiE 6 that will support the broadcaster's 200-plus SADiE hardware controllers. This will enable re-use rather than replacement of the controllers. Graham Boswell, Sales Director of Prism Sound, says: "We understand that, as a result of its evaluation of craft editing solutions, SADiE 6 is now the standard professional audio craft editor provided and supported by the BBC. We are delighted that our product was able to fulfil the broadcaster's requirements." A key part of the decision to select SADiE 6 was the close integration Prism Sound and SADiE have with VCS Media Broadcast, which has already been awarded the framework contract to provide its VCS Dira! playback automation system to the broadcaster. Both SADiE and VCS are committed to delivering cost effective tools that provide a single, scalable, integrated solution to create a true multimedia production environment. "We have cooperated with VCS on a number of projects in the past and we fully expect this collaboration to continue," Boswell says. "Both VCS and SADiE are focused on productivity and this is what makes the two company's product ranges such a natural fit. As part of our on-going development work, we are now looking at ways in which we can meet future requirements for all broadcasters, for example support for meta-data propagation and 64-bit Windows 7." SADiE digital audio workstations and LRX2 digital audio workstations have long been the mainstay of the broadcast community thanks to their editing and location recording capabilities. The SADiE product range is renowned for its speed and ease of use, making it ideal for radio drama production and news where the emphasis is on a quick turnaround. The new SADiE 6 software operates on any computer running Microsoft Windows as well as existing SADiE 5 hardware platforms. SADiE Broadcast Consultant Pete Nash adds: "SADiE has been a craft editing system for many international broadcasters since 1991, and was developed as the ultimate solution for a fast editing workflow on complex programmes and sound-scapes. SADiE 6 has not only built on this legacy, but has added a host of new workflow-related tools, including native operation and vastly improved VST plug-in capabilities, advancing the creative workflow even further."